The air you breathe is not always as clean as we would like, but small business Molekule has shown how it is possible to fundamentally change our expectations of cleanliness. Molekule has just launched their own air purifier that utilizes nanotechnology to remove contaminates from air at the molecular level. This new technology is called Photo Electrochemical Oxidation, or PECO for short. PECO is used to remove unwanted airborne material including chemicals, bacteria, viruses, mold, and allergens. Unlike traditional HEPA filters found on your standard heating and air conditioning system, or carbon filters, the Molekule Air Purifier can remove viruses and extremely small particle airborne chemicals. These two types of contaminants are over 1,000 times smaller than what other filters are capable of catching. The technology has been long under development by co-founder of Molekule, Dr. Yogi Goswami. Research by Dr. Goswami has been taking place for the past 20 years, and all of the research is freely available on Molekule's website. After going through an independent testing process, it was shown that this new air purifier can effectively clean up to 600 square feet per hour. While this is not enough to use on your entire home or business, it is still quite competitive compared to other standalone units. The purifier also includes remote control functionality via an iOS app. The app allows you to monitor and manager filter replacements on the unit. If you prefer to control the unit manually, a touchscreen can be found on top of the device that gives identical options to the app. If you are looking to try one out for yourself, expect to pay a premium over existing products. No surprise there. 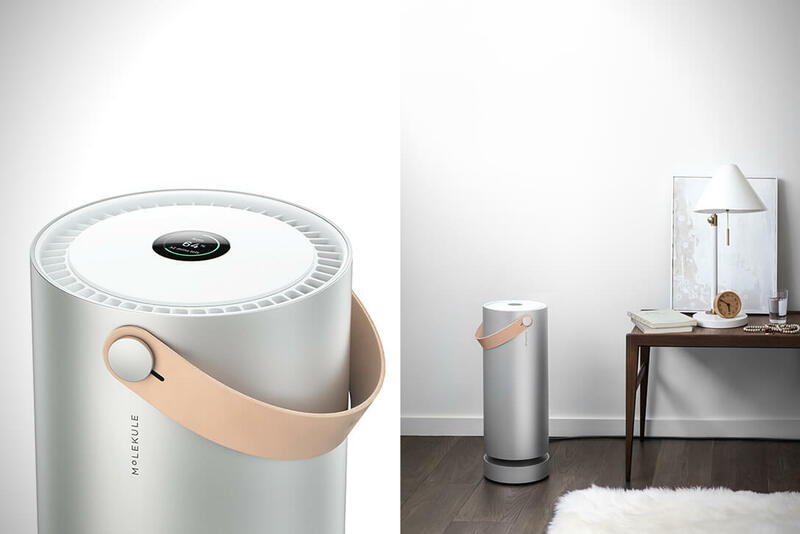 The Molekule Air Purifier is available directly from the company website and is currently retailing for $799.99 including a year supply of replacement filters.